Two premier universities in Tamil Nadu - Anna University and the University of Madras - don't have the mandatory NAAC accreditation. That probably explains why many of the two lakh-odd students passing out of engineering, arts and science colleges in Tamil Nadu face problems in getting jobs or admission to higher studies. That the two big institutions don't have the stamp of quality that an accreditation gives came to light when the University Grants Commission prepared a list of universities and their accreditation status ahead of the admission season. UGC found that 77 universities across the country, including eight in TN, have let their NAAC accreditation expire in 2014. Of this, 29 have applied for re-accreditation. In Tamil Nadu, Anna University and Madras University are among those that have let their accreditation expire. M Anandakrishnan, chairman of IIT-Kanpur's board of governors and former Anna University vice-chancellor, said, "Some institutions haven't realized that in the last four or five years, employees, foreign universities and foreign embassies have been inquiring whether the institution the candidate comes from is accredited. Universities are ignorant as to why accreditation is essential," he added. 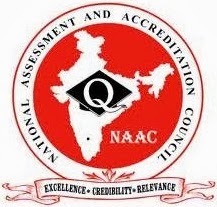 Nasscom regional director K Purushothaman said NAAC accreditation is a "certification of credibility" that companies recognize while recruiting candidates. The 150-year-old University of Madras, commonly referred to as the parent university in the state, has been functioning without accreditation for nearly two years. The National Assessment and Accreditation Council awarded an 'A' grade to the university with a cumulative grade point average of 86% the last time. The university's accreditation expired on March 2012. University vice-chancellor R Thandavan said that the previous administration had failed to apply for the re-accreditation on time. "As soon as I took charge I applied for re-accreditation. We are allowed to apply for the process within a year after the validity expires." He said that a team from NAAC is expected to visit the university from March 3 to 7. "We don't expect any problem in getting the accreditation after the team's visit," Thandavan said. Anna University, which has more than 550 engineering colleges affiliated to it, has been functioning without an accreditation since February 2007. University officials said administration changes, including the splitting of the university into four Anna Universities of Technology and the formation of Anna University-Chennai as a unitary university in 2007, and the consequent merger of the five universities in 2012 led to delays in applying for re-accreditation. S Ganesan, registrar in charge of Anna University, said, "We applied for re-accreditation recently. We are waiting for the NAAC team's visit. But, it has been cancelled thrice for administrative reasons. The meeting has been set up in June or July now." The government has made accreditation mandatory for all higher educational institutions to ensure quality. Still 133 universities in India that are eligible for accreditation have not yet applied to undergo the process. Anandakrishnan said that many of the institutions postpone the accreditation process because they are unable to conduct a self review. "The accreditation criteria have completely changed now, and is more based on teaching, learning and governance parameters. Institutions are afraid of not making a good grade, so they try to postpone the process at least during a particular person's governance." Academics said that the poor quality of higher education in the country is forcing many students to look overseas for education, despite the high cost. When institutions get accredited this will give our best minds to pursue higher studies in the country, preventing brain drain.